LIVING ON OUR MAGNIFICENT HARBOUR IS TO RESIDE IN THE MOST DESIRABLE AND UPLIFTING ADDRESS IN SYDNEY. 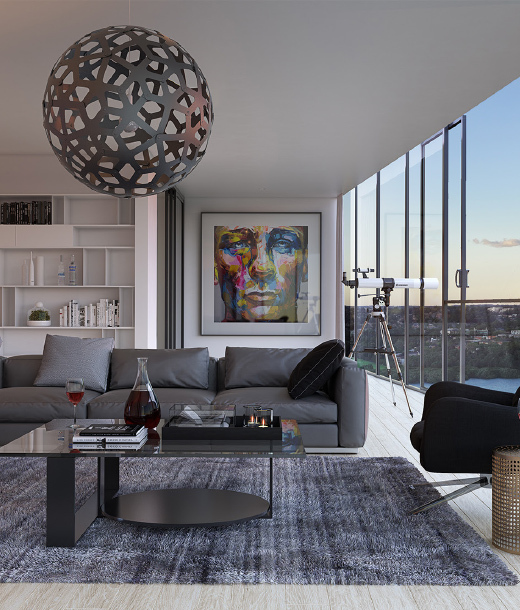 Known as the resort playground of Sydney, Wentworth Point is one of our most visionary harbour communities and home to our largest and finest leisure precincts. Surrounded by water, vast urban parklands and Rhodes’ dynamic retail hub, it has everything you need to indulge, relax and revitalise. At the centre of all this stands Marina Square – special homes with a special sense of place. Where the resort-style setting and seamless city proximity ensure truly exceptional harbour living. THE INTEGRAL ELEMENTS OF CONTEMPORARY HARBOUR STYLE.